Two Blue-winged Teal continue at DeKorte Park, near shore, between the Environment Center and the Administration Building. Last seen 4:40 p.m. today. We were afraid that posting Quincy Magoo's quasi-artistic portfolio on April 1 might intimidate others from submitting their images, and so far it turns out we were right. So prove us wrong. 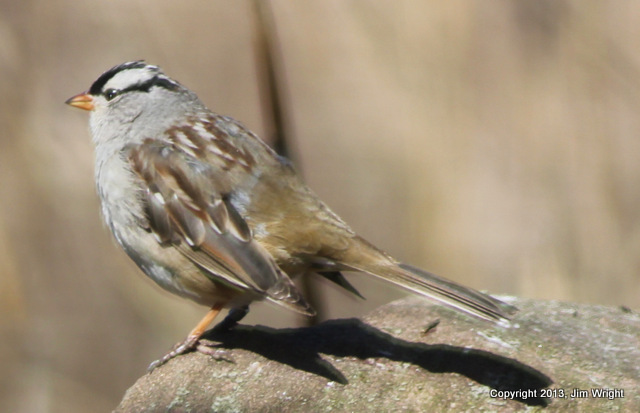 In an effort to showcase the talents of our Maedowlands nature photographers, and to get more folks to appreciate the natural beauty of the Meadowlands, we started a new feature,"Monday Photography Showcase," earlier this year. Images must be from the Meadowlands, and should be around 150K. If you don't watermark them, we'll add a copyright for you. Email your photos to jim.wright@njmeadowlands.gov, and feel free to suggest ways to make the showcase better. We'll give it a try, and keep it going for as long as there's interest out there. In the left-hand column of this blog, you can see samples of other photographers' showcases. Quincy Magoo asked we not post his, and we have honored his wishes. DeKorte Park Is Open on Weekends Again! 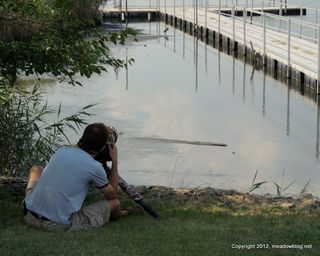 The NJMC is pleased to announce that starting this weekend, DeKorte Park will again be open from 8 a.m. to dusk daily. The Environment Center (and its gift shop and restrooms) reopens Saturday as well. 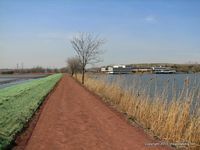 The Transco Trail reopens from the administration building to the western spur of the N.J. Turnpike. Note: Park visitors must NOT go beyond any orange fencing. Also, you must stay on the trail. The green mesh covering the berm next to the trail is protecting young plants, and it is dangerous to walk on. Questions? See a park attendant. The NJMC appreciates your patience while hurricane-related repairs are being made to the park and its trail system. 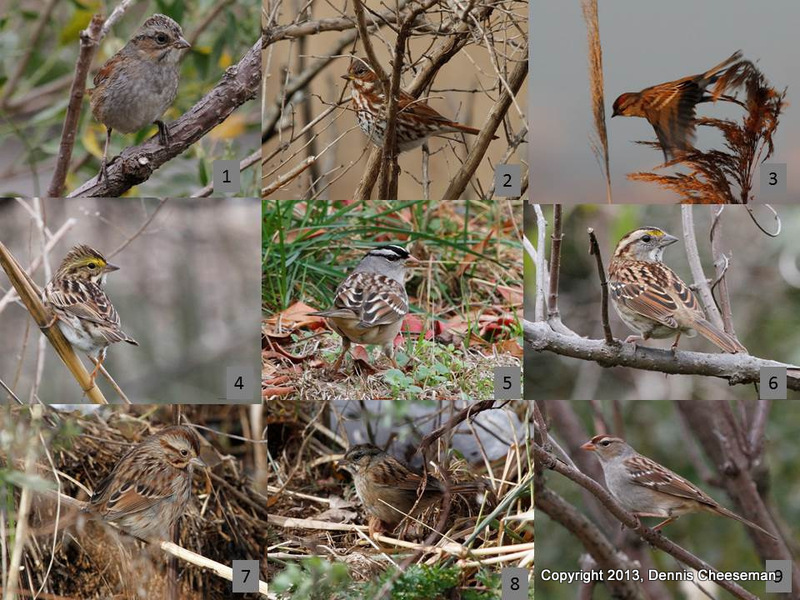 Dennis Cheeseman dares you to ID all nine of the these Meadowlands Sparrows! 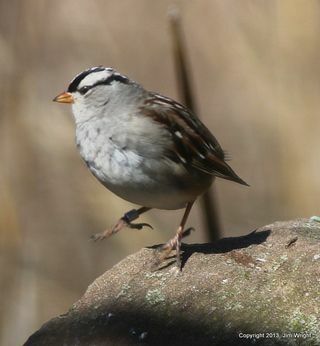 Yesterday we asked, what kind of sparrow is this, and why is it a tad unusual? It's banded. Congrats to Mike Girone for answering correctly!